Glad to see there's going to be an alternative for what has been a celebrated TT title. Rapture!! This is the best news from Eureka since I can't remember when - even alleviates this morning's pain of discovering I'd missed out on the Mizoguchi blu box... So glad I had the patience to hold off on the TT release (nothing against them, just prohibitively expensive to get those over to Europe). Hope this will result in a lot more people getting around to this divisive film so we can have a proper fight over it! repeat wrote: Rapture!! This is the best news from Eureka since I can't remember when - even alleviates this morning's pain of discovering I'd missed out on the Mizoguchi blu box... So glad I had the patience to hold off on the TT release (nothing against them, just prohibitively expensive to get those over to Europe). Well I'm in the red corner...(Anti). Dear Eureka: please get The Driver next. If they were smart, The Big Heat would come first, as it's already OOP. Lowry_Sam wrote: If they were smart, The Big Heat would come first, as it's already OOP. Sony does not license out their titles to UK distributors. eerik wrote: Sony does not license out their titles to UK distributors. And if Lowry_Sam was smart, he might have worked out that Fritz Lang's major UK distributor (by some distance) would have been fully aware of the existence of HD masters of The Big Heat for some considerable time. Sony UK were game for licensing titles out a few years ago, but only if we used their DLTs (ie. their encodes, their subtitles, their menus). I think they may have even insisted on pressing them, and we were to be offered them on spools! Hopefully those decision makers at Sony have moved on to selling sugared water or something. peerpee wrote: Hopefully those decision makers at Sony have moved on to selling sugared water or something. 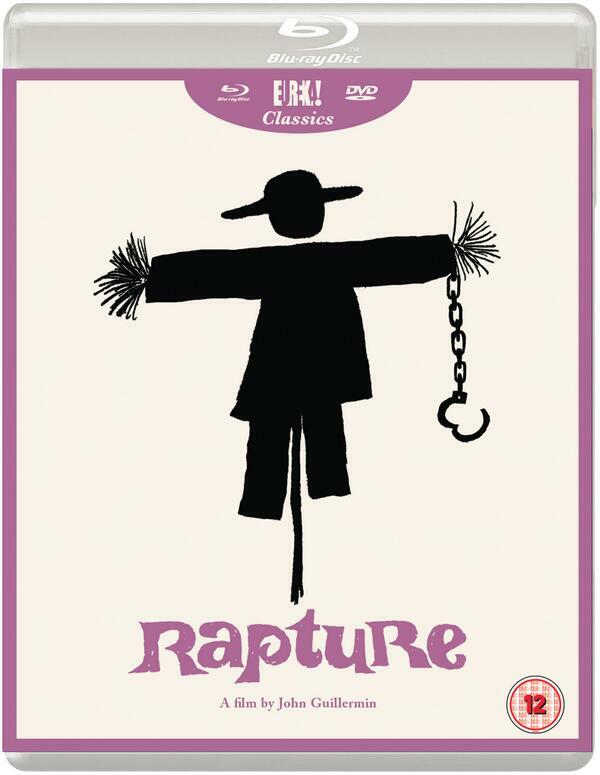 rockysds wrote: John Guillermin's Rapture forthcoming. Wait the guy behind twilight time recorded a commentary for another company's release without doing one for his own? That's rich. Where's Moe? Would love to hear him defend this. Black Hat wrote: Wait the guy behind twilight time recorded a commentary for another company's release without doing one for his own? That's rich. Where's Moe? Would love to hear him defend this. This year the two of them started doing commentaries for the majority of the TT releases. This wasn't something they did when Rapture was released nearly 3 years ago. Presumably they took the opportunity to do a new commentary when Eureka licensed the title. You don't think it's nice that they're making a competing release even better than their own? There's still plenty of the TT copies left and it won't get repressed, so the track will remain a UK/Eureka exclusive. One of the great things about this business is that people from notionally rival companies are often only too happy to help each other out, especially if they're based in different territories. And the Eureka disc will almost certainly be region-locked, and I suspect that very few people import Twilight Time titles into the UK (what with the RRP and the Customs lottery, they're just too expensive), so I doubt it makes much difference to their bottom line.